“They’re back.”: MOOCs II (the sequel). The companies that rode to fame on the MOOC wave had visions (and still do) of offering unfettered elite education to the masses and driving down college tuition. But the sweet spot for MOOCs is far less inspirational and compelling. The courses have become an important supplement to classroom learning and a tool for professional development. They are instruments in what George Siemens, who co-taught the first MOOC, in Canada in 2008, calls “the shadow learning economy,” which happens alongside formal education, much in the way textbooks supplement courses. To be fair, this sounds more like “Casper the Friendly Ghost” than it does “Poltergeist,” and is certainly a lot closer to the ideas that all those nice Canadians put forward many years ago. Unfortunately, the problem is that those walking dead xMOOCs are still private, for-profit companies that have to put profit ahead of education in order to survive. Therefore, they’re inevitably going to do the kinds of things that might give cash-strapped university administrators really bad ideas. 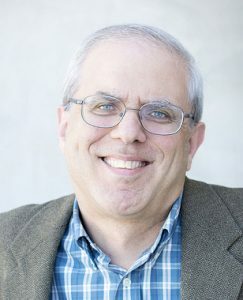 Rick Levin, the former president of Yale University who now serves as CEO of Coursera, says the Silicon Valley startup is exploring the possibility of offering intimate online discussions with university professors who teach its MOOCs. “Down the road, we’ll probably go to a premium layer that you could pay for that would give you live interaction with a professor by video or something like that—a seminar within a MOOC,” Levin told WIRED at the Wall Street Journal’s WSJD conference here in Southern California. He compares this to a Google Hangout with a professor, and he indicated that such a thing could arrive in the coming year. The college classroom is embracing television, as A+E Network’s History cabler has partnered with the University of Oklahoma to offer the very first television network-branded online course for credit. Enrollment for the “United States, 1865 to the Present” course will begin on Oct. 28, with the class set to be taught by OU professor and historian Steve Gillon. A collaboration between History and OU, curriculum will involve professionally produced video lectures, quizzes, discussion groups and social interactions, as well as integrated assets from the cabler. The 16-week course will be offered during the upcoming spring semester, officially beginning Jan. 12, providing a way for college students to earn three transferable credits, or for the lifelong learner. When I see where online is going at my school, I am seeing more and more of that corporate threat (it really is incredible to watch this happening as we let a multimillionaire technologist with no educational experience build our platform… while we jump in bed with History Channel so that we now have a “History Channel Institute” on our campus… all happening without any discussion, without any public notice in advance). If I were not highly experienced in and committed to the great opportunities available in online teaching, I would also be manning the barricades. The corporate threat is indeed real. I never thought I would see this kind of thing at my own school… but our online program is getting corporatized for real. MOOCs opened the corporate door wider than it’s ever been, people, and I think they may have opened it at elite universities for the very first time. Now there’s no telling what’s going to walk in. My best bet is MOOC professors helping you flip your classroom for you so that you don’t have to provide all that nasty “content” yourself (and your pay will be adjusted down accordingly). So who wants to form MOOCbusters with me!!! I call Egon, obviously because I’m not funny enough to be Venkman. I am reminded of a post by Aral Balkan: “Beware of geeks bearing gifts”. A nice little Trojan Horse, and in this case it also goes via ownership of data.